"The taxpayer gravy train needs to end..."
2. The Ivy League was the recipient of $25.73 billion worth of federal payments during this period: contracts ($1.37 billion), grants ($23.9 billion) and direct payments - student assistance ($460 million). 3. In monetary terms, the 'government contracting' business of the Ivy League ($25.27 billion - federal contracts and grants) exceeded their educational mission ($22 billion in student tuition) FY2010-FY2015. 4. 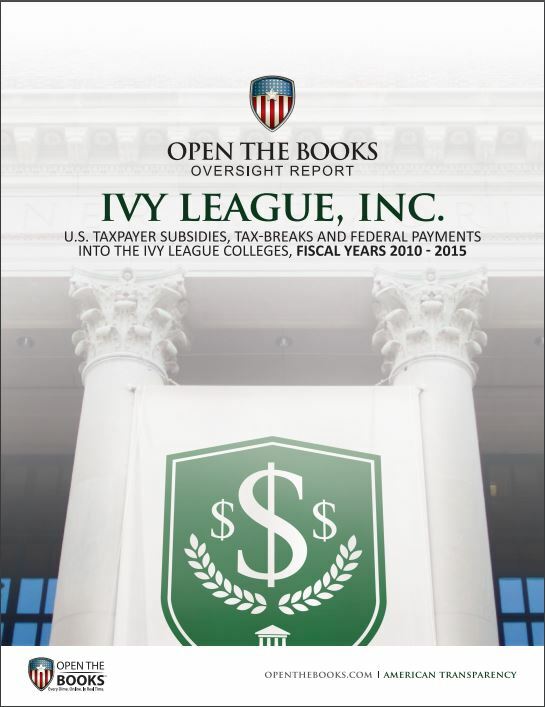 The eight colleges of the Ivy League received more money ($4.31 billion) - on average - annually from the federal government than sixteen states: see report. Seldom admitted openly is that these schools were endowed originally by the New England fortunes made shipping African slaves to our shores. If anybody should make restitution for that institution financially, it's them!! !